It’s a dwarf planet with a giant family! Astronomers working with the Hubble Space Telescope have announced a new moon around distant Pluto, bringing the known count up to 5. 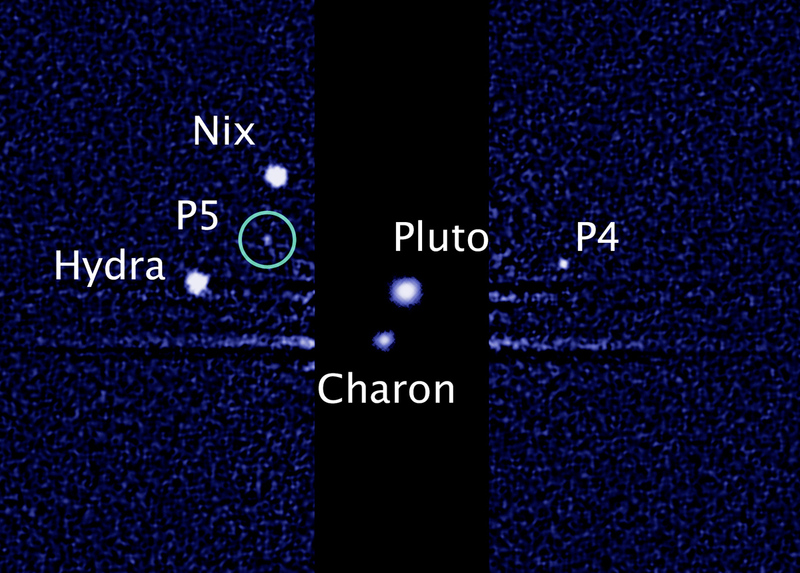 The image above, just released by NASA, shows the Pluto system with its newest member, P5. And after we say that Pluto is not a planet. But I believe that only planets have or can have satellites not?? There are asteroids with “moons” too. That’s not only for planets! Do you have some examples ?? Thanks Andrew for the link. Very interesting indeed.